Problem #1: Neither of us had a place big enough to comfortably seat 9 people. A friend of mine offered me the use of her large farm house in the country while she was away. It seemed ideal — big formal dining room, lots of space to run around inside and out — definitely worth the drive time. I went there early Thanksgiving morning, put a very large bird in the oven, and took an assessment of what I would need to pull this off. Then, I went back home to prepare the side dishes and gather the other accoutrements. I made at least two more trips between my apartment and the farm house…schlepping food, serving dishes, utensils, storage containers, whatever…before I returned with my sons and my BF arrived with his kids. Problem #2: Some of the children were upset by the break in tradition. In our enthusiasm about being together for a holiday, we adults did not consider that they might not be comfortable with the situation: unfamiliar surroundings, none of the usual relatives, someone else playing the role of parent. Our very bad oversight. It was a “first” for them on a lot of levels and it was difficult. I think this was an underlying reason for some of their behavior. Problem #3: My future step-kids had much narrower palates than my own children and I didn’t check out what they typically ate for Thanksgiving. I put giblets in the stuffing and gravy and they literally freaked out. “EEEEW giblets! !” became the rallying cry and my own sons, who happen to actually like giblets, got caught up in the frenzy. 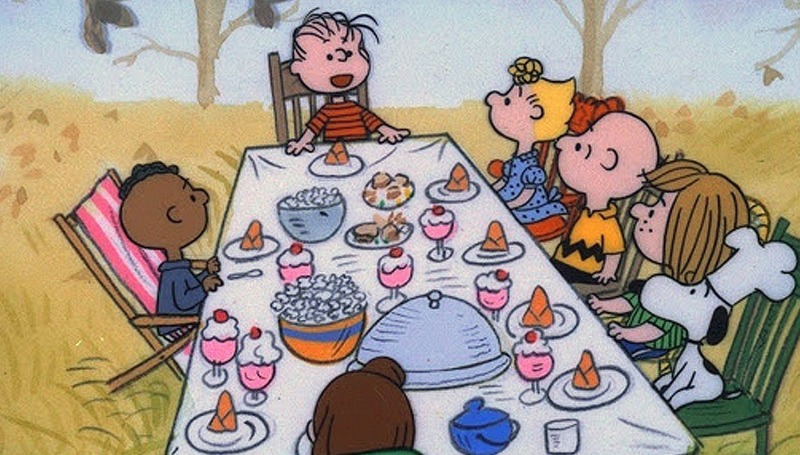 None of the kids would eat anything that even touched the stuffing or gravy, because it might have touched the giblets. This included the turkey itself. The vegetables, home-made pumpernickel bread, and pumpkin pie were not big hits either. I think they only ate the mashed potatoes and apple pie. And, after all that, we had to clean it all up and I had to cart it all back home. It was a lot of work, a lot of miles back and forth, and a large lesson learned. My boyfriend was embarrassed and apologetic. I sucked it up and forgave everyone of them, hoping they would forgive me. I was new at step-parenting and it was a hard day for all of us. These once picky eaters are grown now with their own families and maybe their own meal-time challenges. My sons and I still laugh every time we hear the word GIBLETS, especially around Thanksgiving. I hope they do, too. Next Article Paper, Plastic, or Bring Your Own?